Helen Gazeley looks at living history, whitebait and a frogspawn survey. THE Thames was once home to hundreds of boat and barge yards, employing thousands – according to the Thames Festival website, nearly 15,000 men worked in shipbuilding on the Isle of Dogs alone – and now the ‘living history’ of some of those boatyards is available online. Last year, as part of Totally Thames, the festival held annually in September, photographer Hydar Dewachi (whose image below captures the Dry Dock Gate going in at Turks Boatyard), was commissioned to capture the 15 boatyards that still exist between Teddington and the Thames Barrier. At the same time, 20 trained volunteers filmed and recorded oral history interviews with 29 men and women connected with those boatyards. Interviewees included ex-Olympic rower and Doggett’s Coat and Badge winner Ken Dwan, who took over Eel Pie Island Slipways in the 1990s, Mark Edwards, of Richmond Bridge Boathouse, who built Gloriana for the Queen’s Jubilee, and Richard Seager of the Wapping Police Marine Workshop. It’s also worth watching No Cash No Splash: An Oral History of Boatyards on the Tidal Thames, the 50-minute documentary that resulted from the project for highlights of these (thamesfestivaltrust.org/our-work/heritage-programme/working-river). 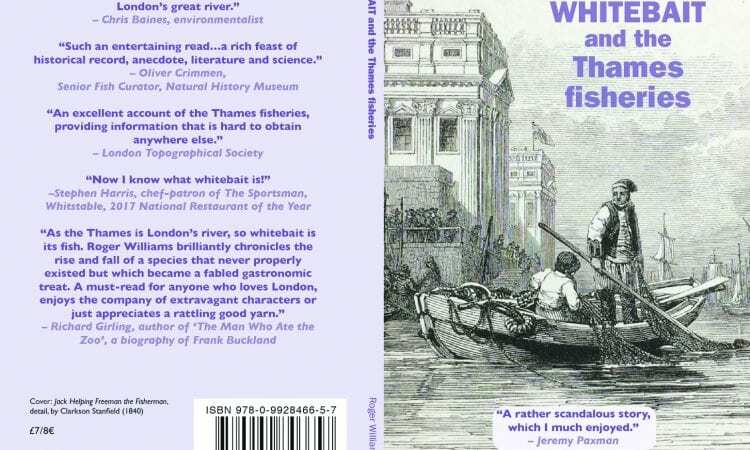 While it’s obvious to attribute the loss of boatyards to changes in the economy and ways of living, you don’t have to read far into the latest book from Roger Williams (www.rogerwilliams.eu) to realise that the Great Stink of 1858, when noxious fumes from the Thames galvanised Parliamentarians into doing something about river pollution, had much to answer for. It writ large the enormous impact of sewage and industrial effluent – muck 6ft deep in places, on which tons of lime were spread in an attempted remedy – and it’s not surprising that fish stocks dwindled, while the subsequent building of the Chelsea and Lambeth Embankments swept boatyards before them. 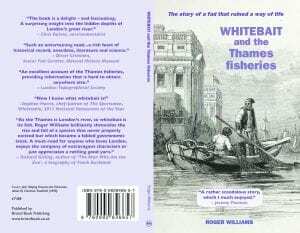 The book’s main story, however, is of Whitebait and the Thames Fisheries which, despite the prosaic title, is a fascinating look at an, until now, hidden part of London history – a food fad that led to overfishing and the destruction of livelihoods. Roger, who has written numerous travel books and London histories, is a born storyteller and fills the tale with colourful facts and original quotes that take the reader from the great flood at Dagenham in 1707, which formed a vital part in the instigation of the annual Ministerial Whitebait Dinners that were a highlight of the Victorian calendar, to the present day in a manner that makes it difficult to put down. And don’t miss your own chance to contribute to future historical records by taking part in this year’s PondNet Spawn Survey. Last year over a thousand people responded, and this year frogspawn has already been seen in the West Country and South Wales. Maps charting progress are posted on Freshwater Habitat Trust’s Facebook page (www.facebook.com/freshwaterhabitatstrust) and you can also follow on Twitter (twitter.com/PondRiverStream). Fill in the form on their website from now until the end of May to help create a survey of the breeding sites of common frogs and common toads that will be fed into a database freely available for government bodies, NGOs and local people, to help with local wildlife plans and other surveys. Records will also be passed on to Record Pool, the national database on reptiles and amphibians in the UK. 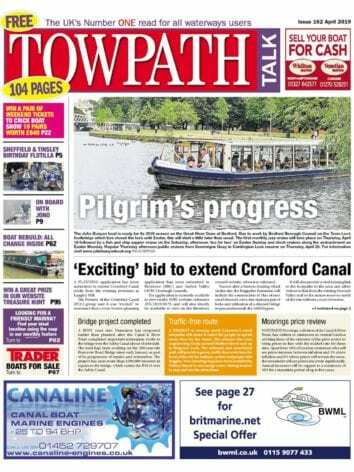 Previous Post:Towpath Talk April digital issue now available!